Simple, minor adjustments to your house and your behavior can work wonders when it comes to water conservation. People all across the country are using less water than they used to by shutting off faucets, fixing leaks, and installing more efficient appliances and fixtures. 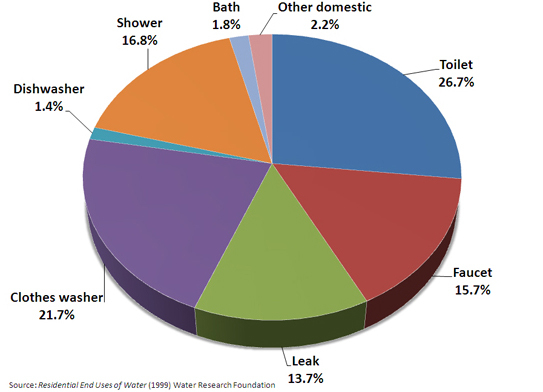 Click on the links on the left to explore water efficiency by fixture and appliance. How much can you save? It all depends on how much you’re using right now. Estimate your water use and potential savings with the Home Water Works Calculator.